Confessions of an AUDIOPHELIAC: History--Black Star, Where You At...? To keep at it with the Dilla theme for this post--ya'll should know by now, if you feel me--thought I'd hit you up with something new. 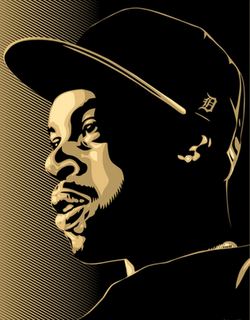 Remember Dilla's Ruff Draft EP? Remember that joint off that EP called "Take Notice" with Guilty spittin' some rhymes? Well, check out The Suite for Ma Dukes Orchestra just take over and destroy that joint...LIVE. Once Karriem gets on it on the drums...it's over. Peep the vid here, plus a special announcement following the video. I also snagged the track, too for download here.